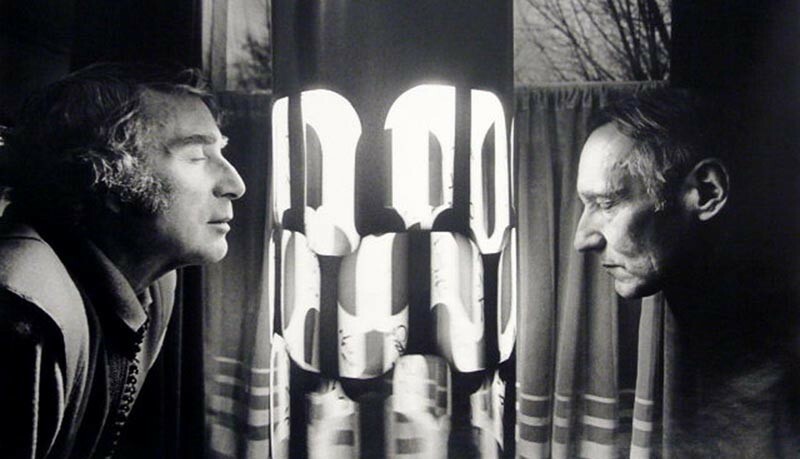 In an attempt to recreate a spontaneous hallucination he had during a bus ride to Marseille, Brion Gysin created a stroboscopic device known as The Dreamachine. Gysin says that once, he closed his eyes while he was riding a bus as it was going down a long street surrounded by trees at sunset, suddenly, he began experiencing innumerable brilliant colours exploding behind his eyelids, as if he was staring into a kaleidoscope. This is probably an illusion we’ve all experienced as we rub our eyes while we’re facing the sun or, like Gysin, when we close our eyes as we travel down a street where the light is interrupted by trees. The device is a cylinder with cut-outs on its sides. If the cylinder is placed on a platform that turns at 78 or 45 rpm (for example a turntable)with a light bulb in its centre, the intermittent flashes produce a frequency that corresponds to that of alpha waves, which immitate the natural waves that occur when the human brain is relaxed or meditating.